that one time everyone in the village of palestine was right about the weather. | scribbles&glitz. that one time everyone in the village of palestine was right about the weather. 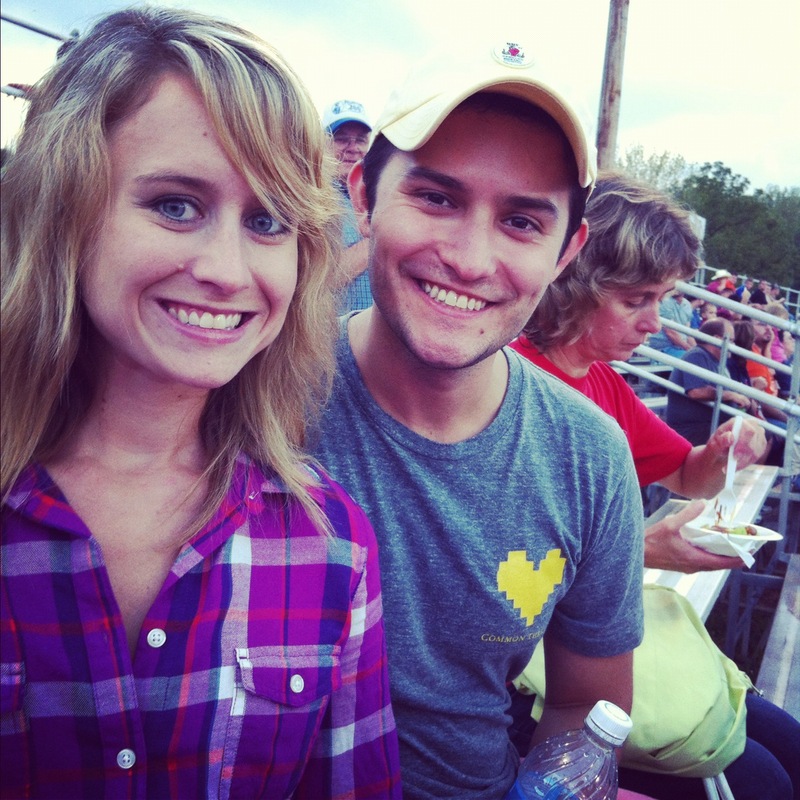 This past weekend was finally the Pioneer City Rodeo. It was a tad bit wetter than originally anticipated. As such, I’d like to take this moment to ask you to please excuse the state of my hair in any of the coming photos. In case you slept through the entire weekend (lazy bum) or happen to be reading this from anyplace west of the Rocky Mountains (hey, thanks. ): It rained this weekend. Apparently, all anyone’s been saying in Palestine all summer is that while we were suffering from that annoying drought (okay, annoying for me. Kind of job-crippling for the farming community. Which is pretty much 80% of Palestinians. *), they just knew we’d end up getting hit with the rain on Labor Day Weekend. I was only back in Palestine for five days, and I believe I heard this exact sentiment no fewer than 14 times. Not exaggerating. 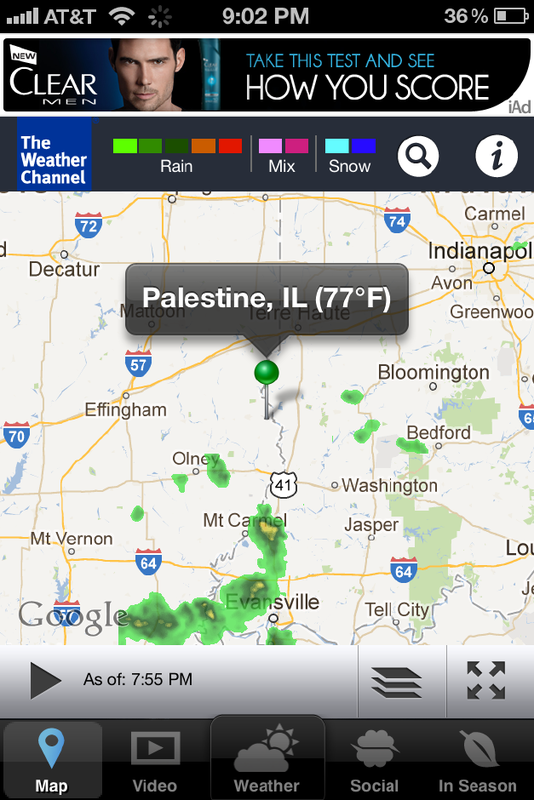 So hey, people of Palestine: If the drought takes your fields, you now at least have a back-up in meteorology. Our tour begins at the beer tent. 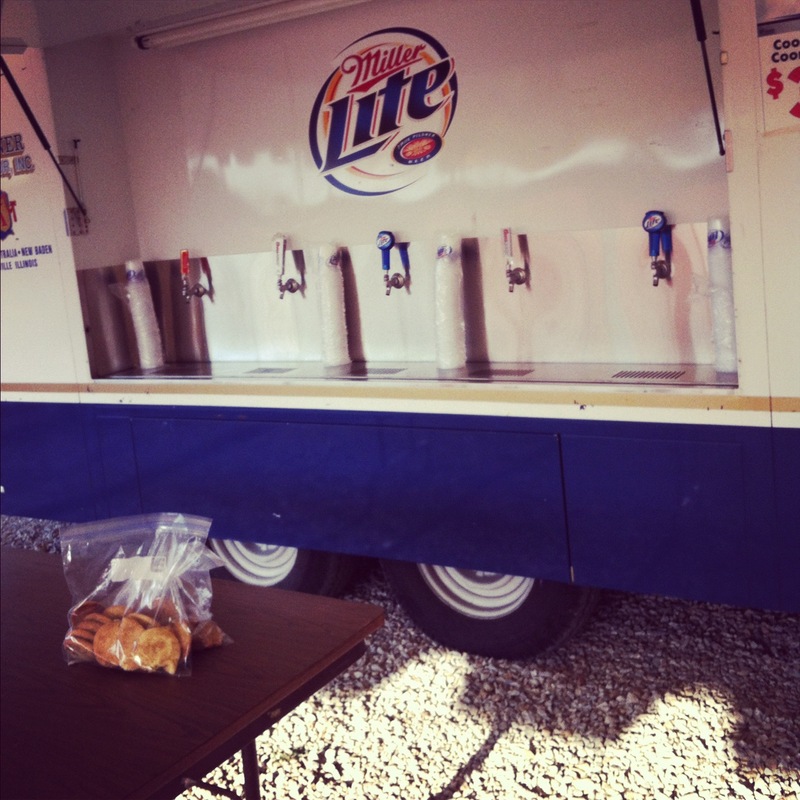 The beer tent, featuring two bags of Daddy’s Should-Be Famous Cookies. This year, the organizers of said rodeo/beer tent thankfully realized it was time to offer a delightful non-beer option. Featured below are the two best pourers of beer that beer tent has ever seen. You know, in the two years it’s been at the rodeo arena. 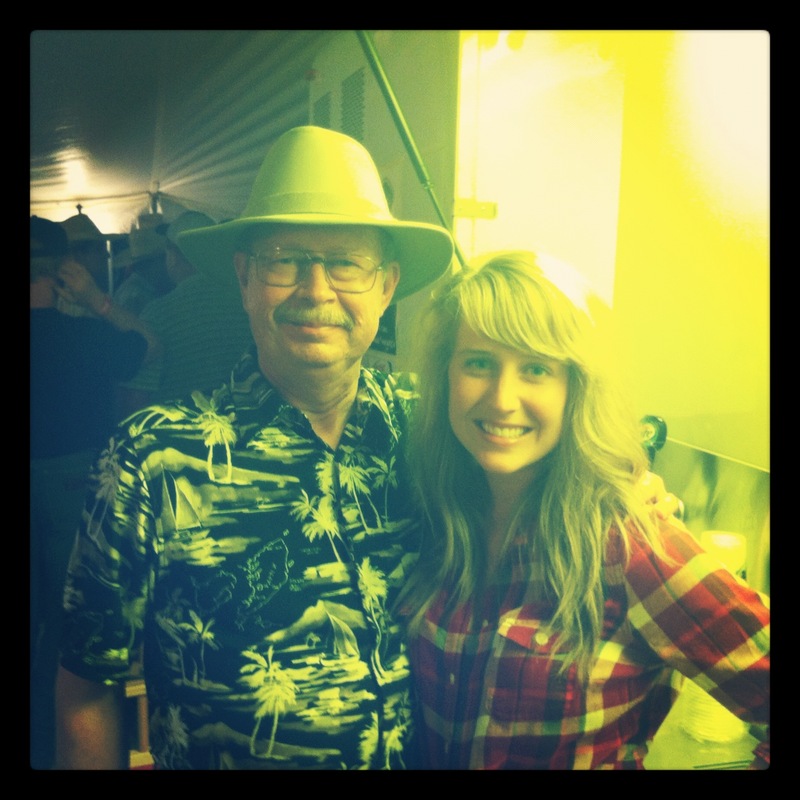 Daddy and I, the best beer pourers in the tent. Night two. Same legendary beer pourers, one new hat. Then Big Sister and Brother-in-Law (making his first appearance to this blog a few photos below. Congrats.) joined the fun. Side note to self: With the exception of Daddy (and, okay, pretty much any male. Which I think is really unfair. ), everyone looks better when you remember to take pictures pre-rain. Big Sister, joining the fun. 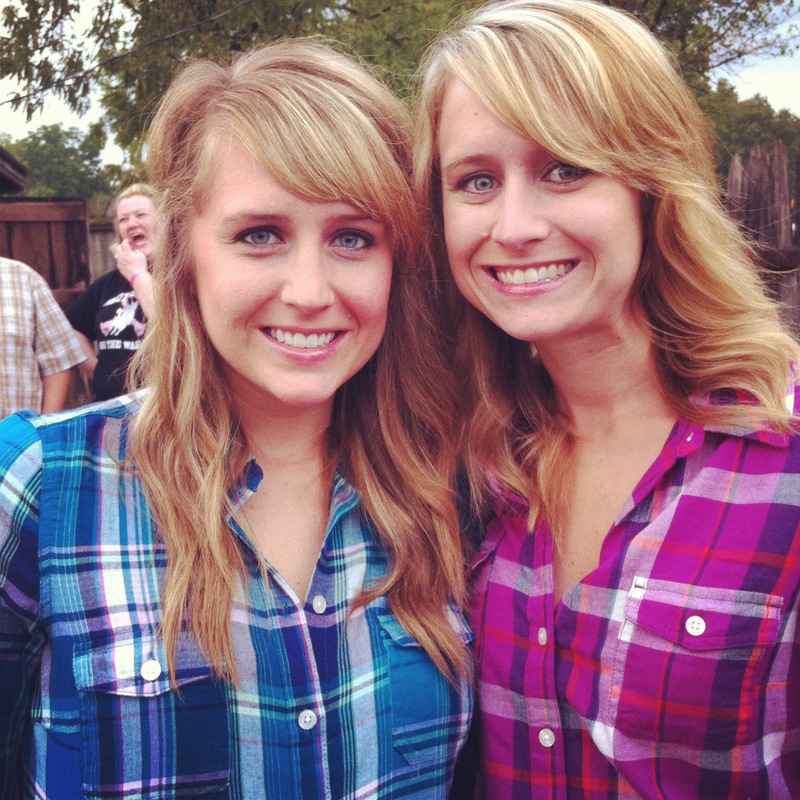 Strangely, no one’s ever told us we look alike. Case in point: Long ago, Big Sister and I realized it would never be possible for either of us to ever become swimsuit models based solely on the fact that our hair looks hideous when damp. And, you know, that we didn’t really want to be swimsuit models. This weekend, we found out the rule still applies. My dreams are dashed. Next time, I’m wearing Daddy’s hat. 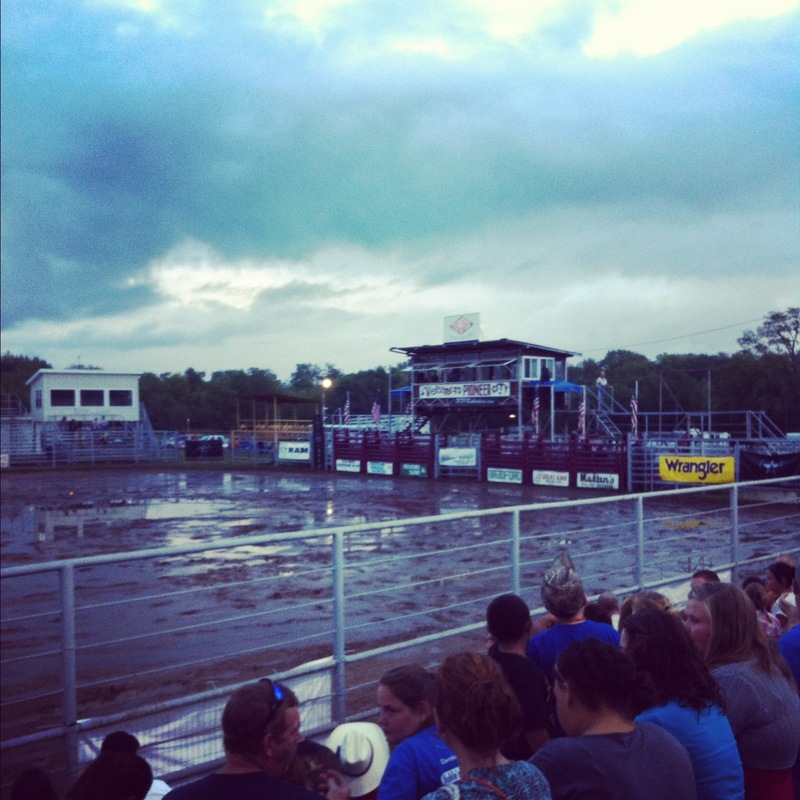 We then gathered in the rodeo arena on Sunday evening, after almost three days of solid-ish rain. This is why we don’t sit in the front row, rookies. 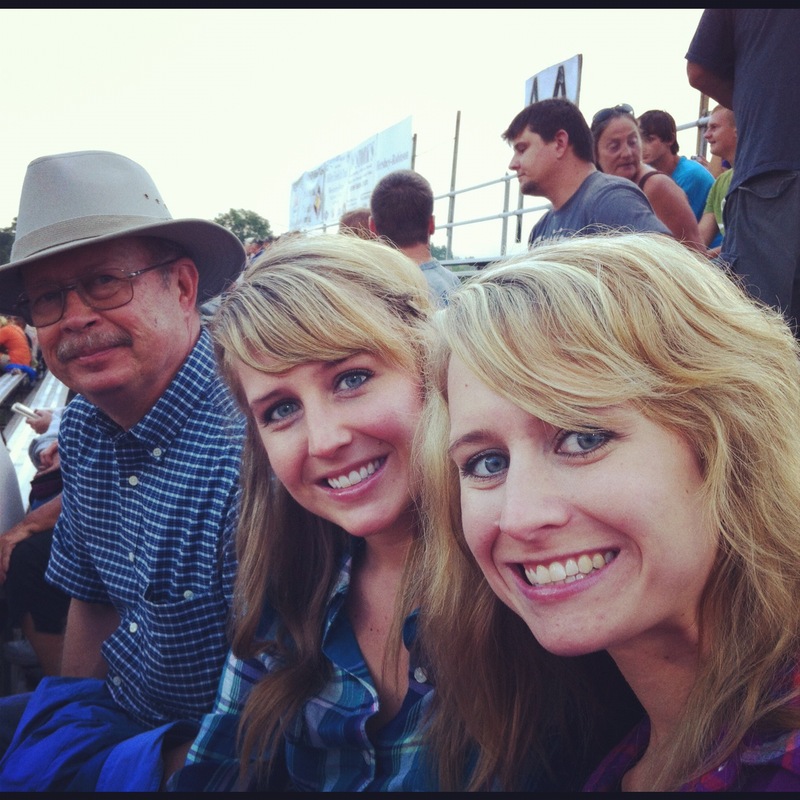 Then, we watched the first round of bull riding. Why yes, that is a Mullen’s chute the cowboy-on-bull is about to come out of. You might not have been aware, but we’re kind of a big deal. Practically royalty. Or, you know, just good advertisers. Despite the looming (read: black and super scary. As in, you’re about to all die from an F-5 tornado) clouds, the radar said nothing was coming our way that night. If only the kind, intelligent, weather-knowing people of Palestine would have put up the radar report (or whatever it’s called?) that night. In other words, we made it through about a handful of bullriders before God sent what I would imagine is very close to what the rains in Noah’s day looked like. You know, without the super-destructive let’s-wash-out-the-entire-world-except-your-ark floods and stuff. It was slightly disappointing, illustrated here by Big Sister’s sideways thumbs down. 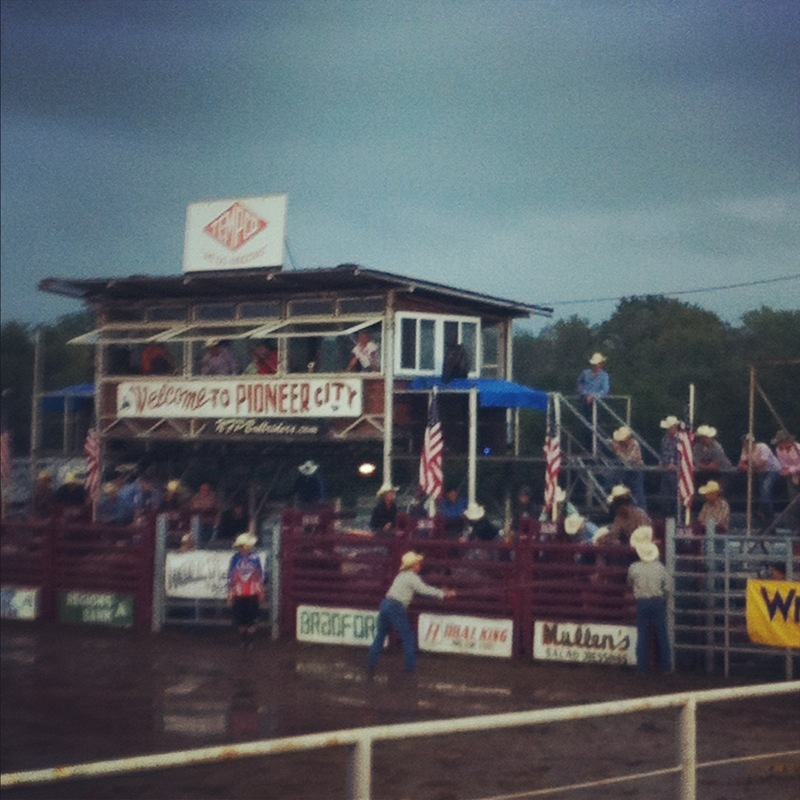 Rain: Bad for rodeos, bad for hair. Good for hat wearing. 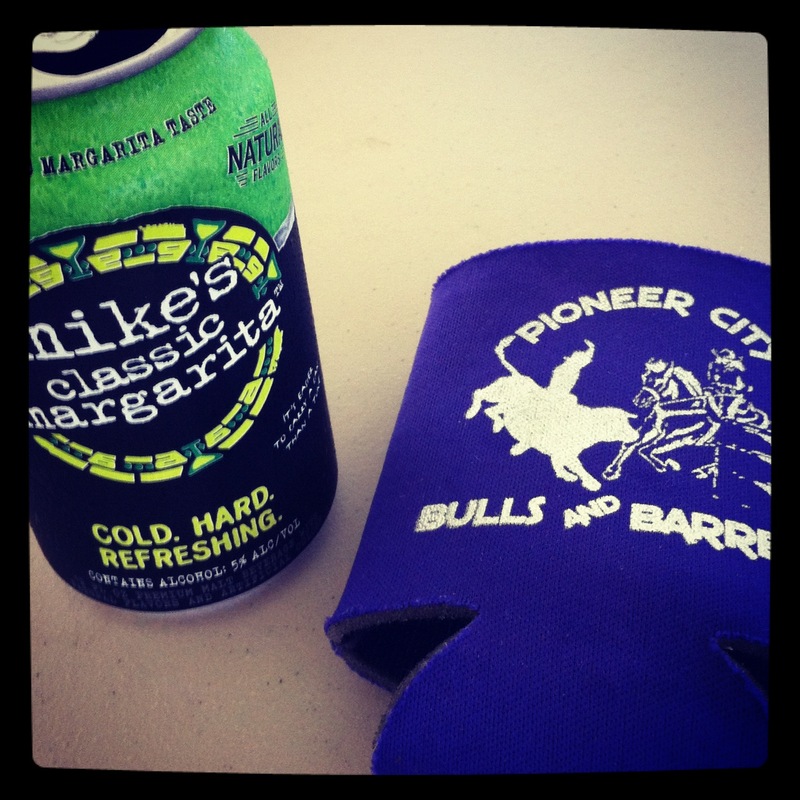 No effect on beer/margarita-in-a-can drinking. But what can you do? 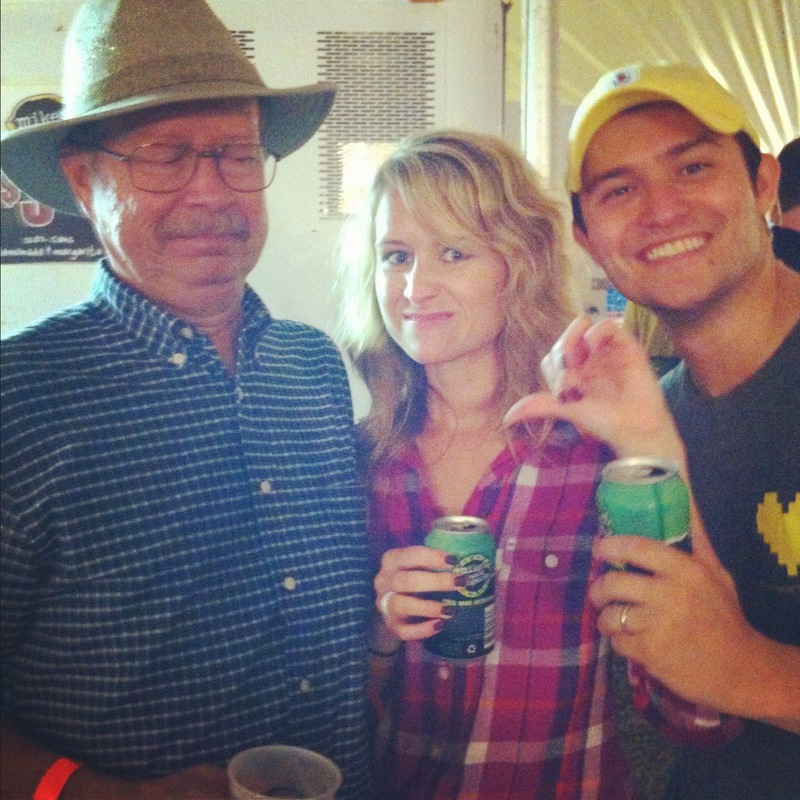 When in the beer tent, you do what beer tent people do: You drink margarita-in-a-can and sing at the top of your lungs to a slightly off-key “Sweet Caroline,” of course, with Daddy leading the wave at the front of the crowd. Ah, Labor Day. See you next year. writer, marketer, wife, puppy mother, crossworder & refuter of the oxford comma. bad at gardening, great at wine. don’t pee on your iphone + laser hair removal, session two. the day my dog gave me epilepsy, or so i thought. You can buy margaritas in a can????? I learned something today! 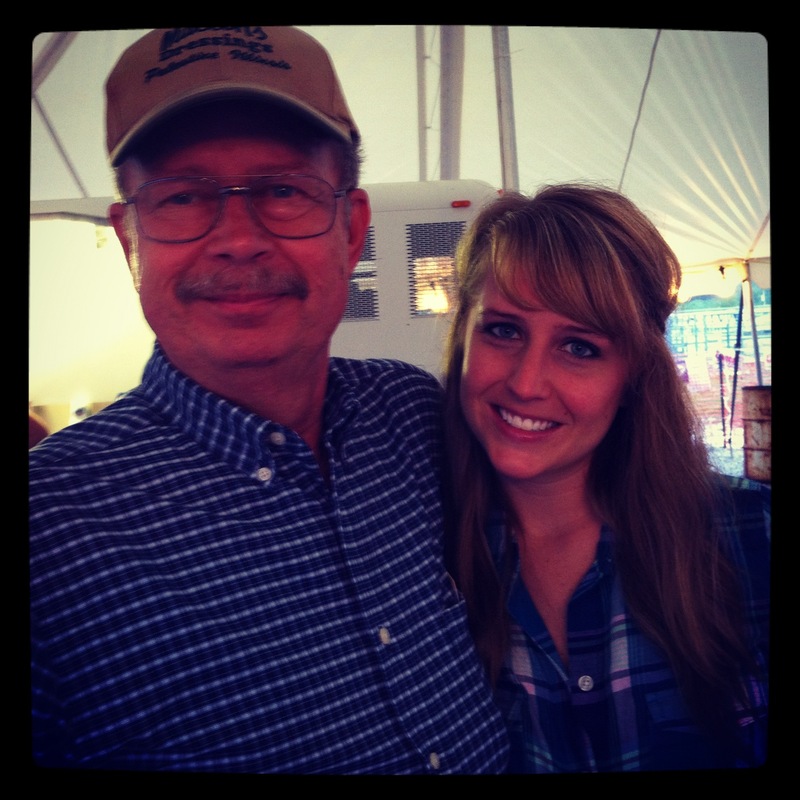 Sadly, I will not be at the wine fest this year; have one for me while you’re there!